FYI, golden beets are not Chioggia. Chioggia are red/white striped. I agree with your taste comparison, and this recipe looks quite interesting! Oh course they are not Chiogga–operating too quickly! Thanks for the correction and I will edit! 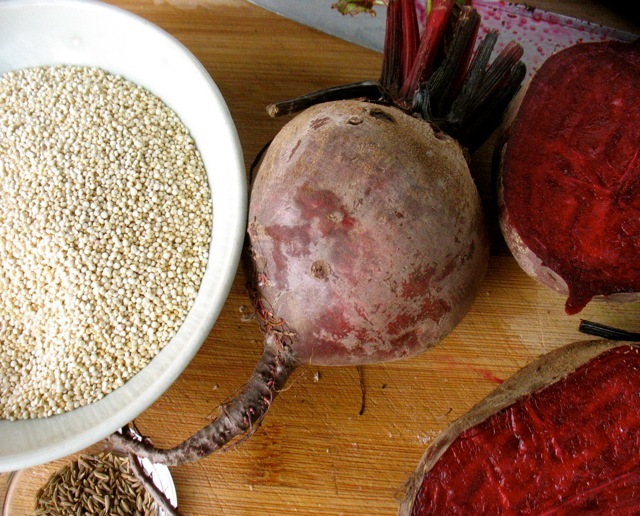 Did you recognize those beets?! They were yours and so, so sweet. Yes, actually, I did recognize the beets! They have been extra sweet this fall. 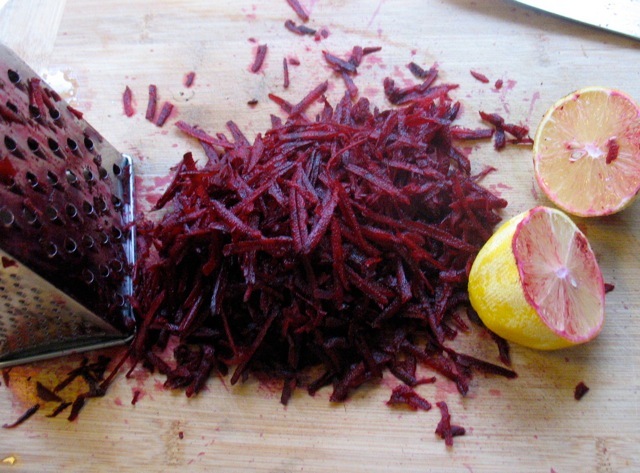 We have lots still in the field and everyone on my list is getting pickled beets for Christmas. Hope they all like beets as much as I do! 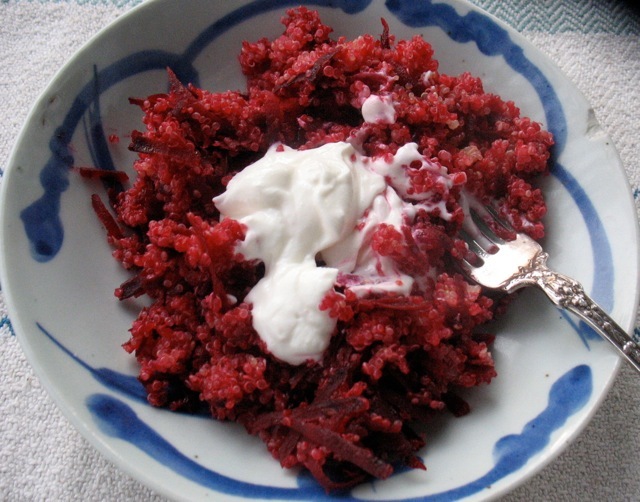 What a beautiful post about one of my favorite beet and quinoa recipes. So happy you enjoyed the dish and even taught it in a class. What a nice compliment! Thank you, and do let me know if you ever have any ancient grains questions. Thank you for your kind words about my book. Nice to see it used ~ nothing more I hoped for.